What are Free Operating Systems? The operating system (noted SE or OS abbreviation of the term Operating System), is responsible for the user, and the applications (word processing, video games and much more). So when a program wants to access a hardware resource, it is not necessary for him to send device-specific information, it is sufficient to send the information to the operating system, which is responsible for transmitting to the device in question via its driver. In the absence of drivers that each program should recognize and take into account the communication with each type of device! The operating system makes it possible to separate programs and equipment, particularly to simplify the management of resources and provide the user with a Man Machine Interface (denoted “MMI”) simplified to allow him to s’ overcome the complexity of the physical machine. In this article, we are providing the list of free operating systems for PC which is working with Linux based platform. Now, this article explains the open source free operating systems in 2016. Debian is a free community and free operating system for PC based on the Linux kernel and started in 1993 by Ian Murdock with the support of the Free Software Foundation. With one of the largest open source communities’ worldwide (over 1,600 developers), the Debian project is the most comprehensive distribution available, with nearly 30,000 packages in version 6. The distribution is published in accordance with the philosophy community that gave birth to free software and sets the benchmark in terms of quality and stability. Debian GNU / Linux non-commercial distribution. FreeBSD is a free community and free operating system based on BSD UNIX. The project was born in 1993. The FreeBSD project focuses on performance and features. It has advanced features for storage (ZFS), network, and security (MAC, audit framework BSM). It is mainly used on the Web and in the heart of proprietary hardware (Juniper, NetApp). NetBSD is a free, community free operating system based on BSD UNIX. The project was born in 1993. It focuses on portability and code quality as well as ease of use. It is mainly used in research and on the board. Its clean design and advanced features make it an excellent solution for both production environments for research. NetBSD is developed and supported by a large and vivid international community. It has more than one user support. Note that all of the sources is available. This free operating system is available from official page. Many applications are easily available through the system NetBSD Packages. NetBSD is distributed under the BSD license. Most of the code is in C language. Suse Linux Enterprise Server is a free operating system created in 1996 and now published by Novell. The first version of this distribution appeared in early 1994, making SUSE the oldest existing commercial distribution yet. Based on OpenSUSE distribution, it is a distribution for businesses, focusing on compatibility with Microsoft technologies. In terms of system administration, Novell Suse Linux Enterprise continues to focus on open standards such as CIM (Common Information Model) and WS – Management (Web Service Management) which allow both administer consistently heterogeneous parks collecting material from competing suppliers. Two versions are provided, one for servers (SLES Server for SLE), the other to the client workstations (SLED SLE for Desktop). Get this free operating system from the official pages. OpenBSD is a free community and free operating systems based on BSD UNIX. It was created in 1994 by Theo de Raadt. The project comes from NetBSD, which broke up in 1996. Developed by the OpenBSD Foundation, which includes hundreds of developers, the OpenBSD project is a complete operating system with an emphasis on quality and safety code. It is commonly used on sensitive network equipment system. OpenBSD is distributed under the BSD license. The vast majority of the code is in C language. RedHat Enterprise Linux is a free operating system Powered by RedHat since 1995. Based on the historic Red Hat Linux (Fedora now), RHEL is a product for businesses and enjoys a publisher support, and extensive stability. Numerous agreements with software publishers and hardware manufacturers provide good integration in enterprises. Ubuntu is one of the free operating systems, community, based on Debian. The project was initiated in 2004 by South African Mark Shuttle worth. 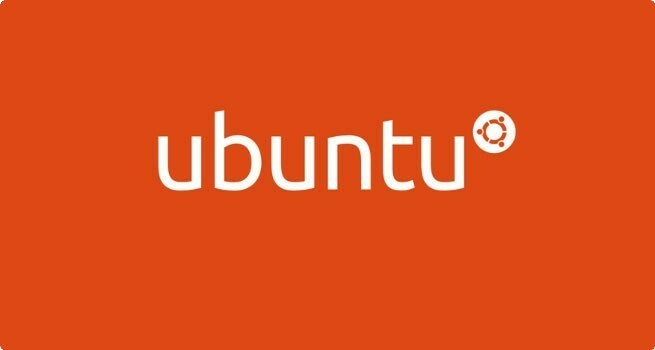 Officially supported by the company Canonical, Ubuntu can be used both on servers that workstations. The OS contains all the applications you need like a web browser, Office suite, media apps and Instant messaging tools and much more. Ubuntu is however oriented public thanks to its ease of use that promotes grip. It is a compact distribution (often distributed on CD) which ensures high material compatibility and features many programs, basic or install. This is Free Operating Systems like windows. Fedora is the another most popular Linux based operating system. IT is RPM based, general purpose operating system. It built on Linux kernel, developed by the community supported Fedora Project and sponsored by Red Hat. Chrome OS is an free open source open source operating sytem from Google. It is built on the Linus Kernel which replaces the destop and user level software. The Chrome OS creates a specialized desktop on chrome browser. This is not a general purpose operating system. It is preinstalled on specilized laptops known as “ChromeBooks”. The operating system is the central language between user and machine. There are moa number of great operating systems available. just I listed and highlighted only a few operating system. If you are having Branded PC with a high-speed motherboard. you can try any Operating system. The above are Best Free Operating Systems 2016 and most popular around the world.